The lives of girls and women are multi-dimensional, comprised of complex and interrelated aspirations, needs and responsibilities. However, development programs often treat girls and women as unidimensional, providing services in silos that meet one need at a time and do not engage girls and women in a way that is empowering. By serving girls and women through siloed services, development programs fail to achieve optimal results and efficiencies, missing opportunities that have the potential to leverage changes that go beyond any one sector and can lead to both individual empowerment and broader social change. Join us to discuss the complexities and benefits of bringing together resources, innovations and systems across sectors to better serve girls and women. For a recording of the full event, including Q&A, please click here. 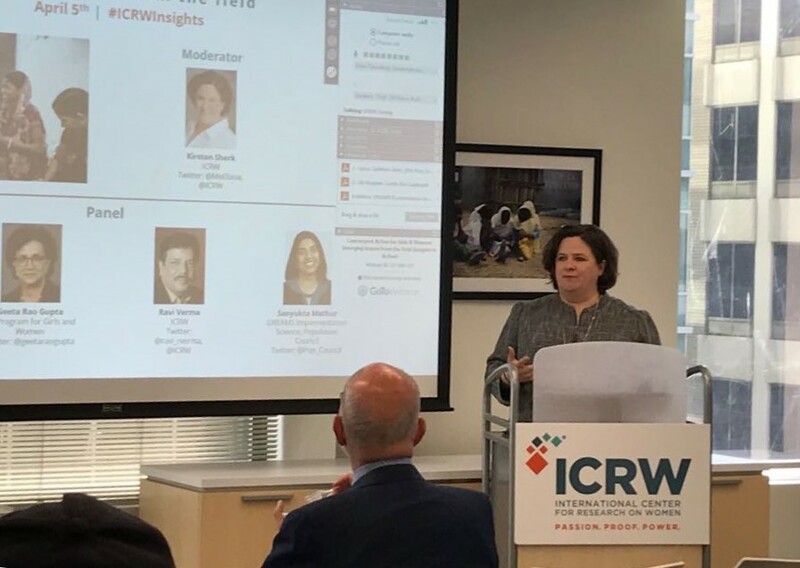 Kirsten Sherk oversees ICRW’s strategic communications efforts, helping to raise awareness about ICRW’s key research areas. She joined ICRW after a decade as senior advisor for media strategies at Ipas, an international reproductive health organization, where she developed media strategies to elevate public awareness of abortion as a crucial public health and human rights issue. 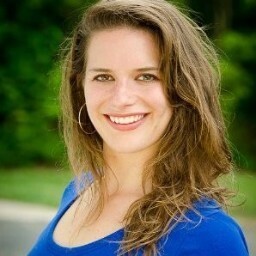 Prior to joining Ipas, Kirsten spent five years with Planned Parenthood® Federation of America. As Senior Communications Specialist, she developed communications and media strategies to promote global reproductive health and rights. She honed her skills at the Communications Consortium Media Center (CCMC), where she promoted public and policymaker awareness of global population issues through the media. At Locus, Ellie Price oversees all programs and operations of the Coalition in pursuit of the Locus Research Agenda on integrated development and local solutions. She convenes international development funders, policymakers and practitioners on designing, monitoring, and evaluating integrated, multi-sector approaches in development with a local ownership focus. As Coalition Coordinator, Ellie is committed to fostering dialogue on Locus's priority research questions while ensuring Locus conversations are relevant to practitioners in the Global South. Prior to Locus, Ellie was a Program Officer on the Crisis Response and Integrated Development initiative at FHI 360. She is currently co-chair of the Young Professionals Network for the Washington Chapter of the Society for International Development. Geeta Rao Gupta is Executive Director and Founder of the 3D Program for Girls and Women and Senior Fellow at the United Nations Foundation. She is also a member of the WHO Independent Oversight and Advisory Committee for health emergencies. 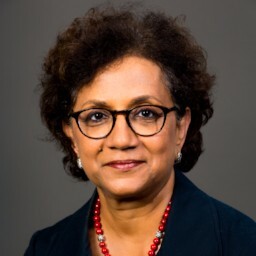 In 2017, she was a Visiting Scholar at Stanford University and served as co-Chair of the Gender-Based Violence Task Force of the World Bank. Geeta served as Deputy Executive Director at UNICEF (2011-2016) and was a senior fellow at the Bill and Melinda Gates Foundation (2010-2011). Geeta served as president of ICRW from 1996 to 2010. She has served on several boards, including the Global Partnership for Education, GAVI, the Partnership for Maternal, Newborn and Child Health and the MAC AIDS Fund. She has received numerous awards, including Harvard University’s 2006 Anne Roe Award and the 2007 Washington Business Journal’s “Women Who Mean Business” Award. Geeta earned a Ph.D. in Social Psychology from Bangalore University and an M.Phil. and M.A. from the University of Delhi. Dr. Ravi Verma provides overall guidance and technical support to the ICRW 3D team with a focus on data, research and evaluation. Working closely with government departments, civil society and corporate partners, Ravi ensures strategic partnerships, advocacy and program development. As Regional Director for ICRW's Asia Regional Office in New Delhi, Ravi leads ICRW’s regional efforts to conduct research, provide technical support, build capacity and partake in policy dialogue on an array of issues, including reproductive health, family planning, preventing domestic violence, child marriage, engaging men and boys to empower women, HIV/AIDS and economic development. Over the past three decades, Ravi has worked and published extensively on gender equality, including girls’ and women’s safety, reproductive and sexual rights, and economic empowerment in India and other countries in Asia. 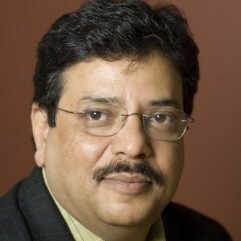 Ravi serves on various strategic national and international bodies and research and program advisory committees and review boards. He has served as a member of High Level Committee on the Status of Women, Government of India and the Rights & Empowerment working group of the FP2020 Initiative. Sanyukta Mathur is a behavioral and social scientist and a researcher with the Population Council’s HIV and AIDS program. Her research focuses on examining how social norms, gender and empowerment and social transitions influence reproductive health and HIV/AIDS outcomes in sub-Saharan Africa and South Asia, particularly among adolescents and young adults. 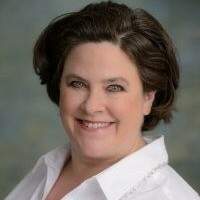 She leads the Population Council’s DREAMS (Determined, Resilient, Empowered, AIDS-free, Mentored and Safe) implementation science research portfolio assessing the outreach, approach, and effectiveness of interventions aimed at reducing HIV risk for young women and their partners in sub-Saharan Africa. She also serves as the senior gender and youth technical advisor for Breakthrough-RESEARCH, an initiative focused on generating evidence and promoting its use to strengthen social and behavior change programs for improved health and development. 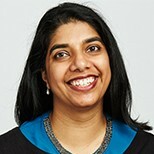 Prior to joining the Population Council, Sanyukta was an Assistant Professor at Columbia University Mailman School of Public Health, where she retains an Adjunct Assistant Professor affiliation. Prior to that, she was a Public Health Specialist at International Center for Research on Women, where she led several studies on youth livelihoods, reproductive health, HIV-related stigma and integrated programming.